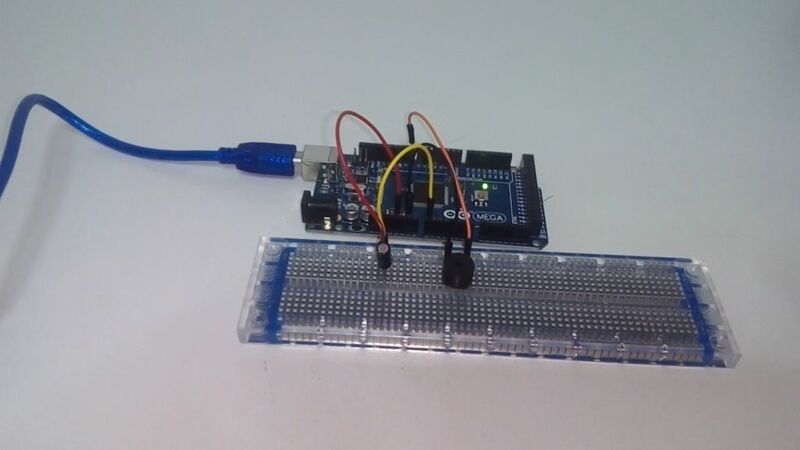 In this tutorial we will use one vibration sensor or shake switch to make a beep sound from a buzzer while we shake our breadboard. The connections are pretty easy. 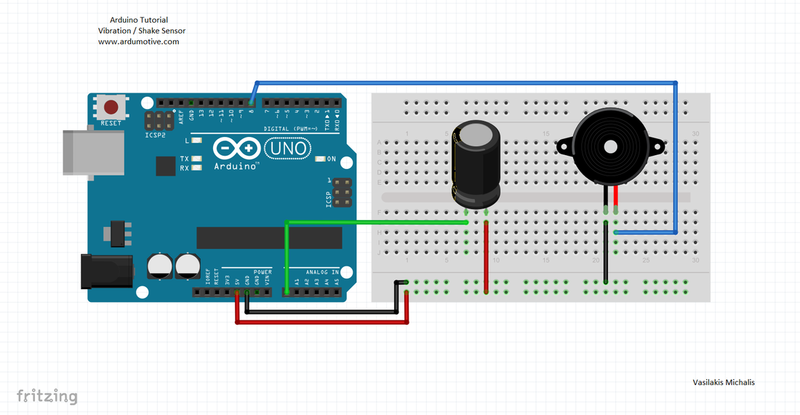 Connect one pin of vibration sensor to Arduino Analog pin A0 and the other to 5V pin. Now connect the buzzer, one pin to Arduino pin 8 and the other to GND. to make a beep sound from a buzzer while we shake our breadboard. Download the code from here and open it with Arduino IDE. Open the serial monitor from tools menu of Arduino IDE to test it. 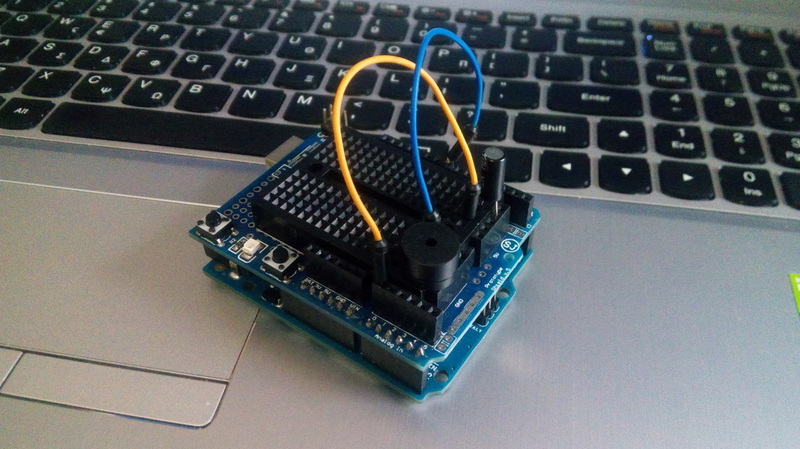 You have successfully completed one more "How to" tutorial and you learned how to use a vibration (or shake) sensor with Arduino.